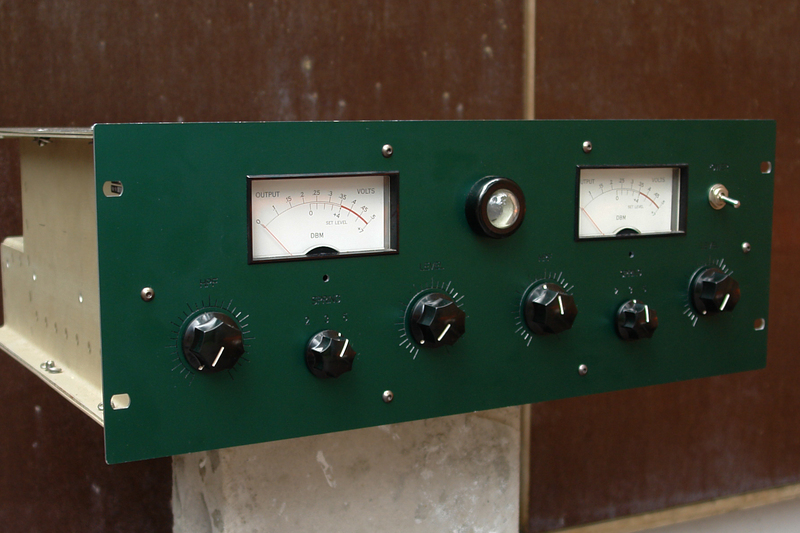 This big green unit is another iteration of the 235 Spring Reverb idea, albeit this time in a rack format. The rack is a vintage piece that is an extremely well built aluminium frame and includes locking screws that don’t get lost when removing the covers! 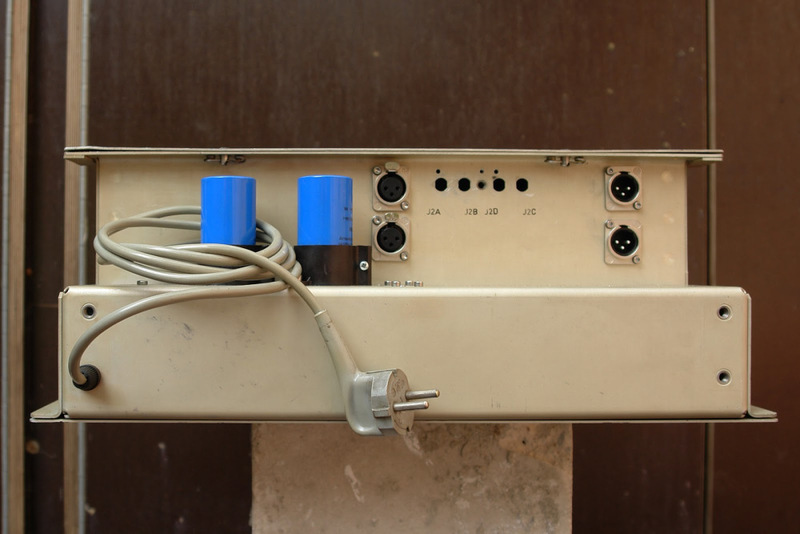 Another nice feature is the fact that the entire power supply fits into a separate compartment in the back which keeps noise from the transformer to a minimum. 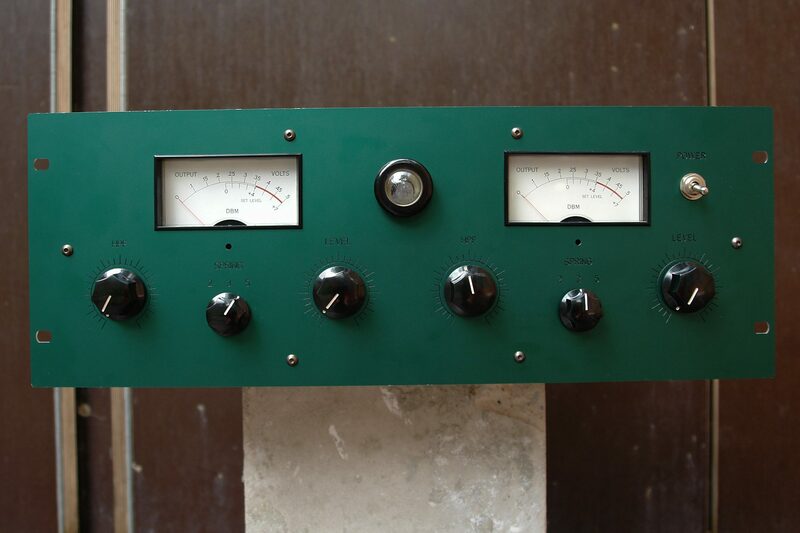 The large VU meters come from an old Hewlett Packard piece and are of high quality and very accurate. 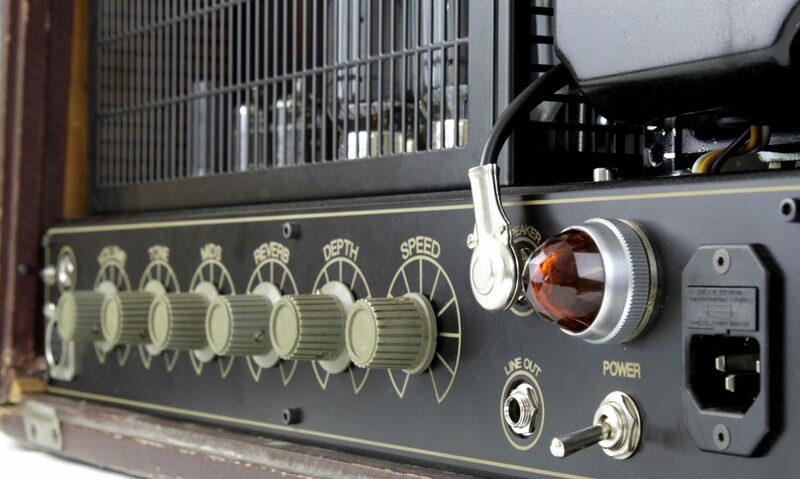 With transformer balanced inputs and outputs, the big green machine integrates happily into any studio set-up.